A couple of weeks ago I did a training run on roads and trails from my house that turned out to be exactly 26 miles. As a Strava user my workout was automatically posted to Facebook and Twitter and therefore visible to all of my ‘friends’ and ‘followers’ (all six of them). Somehow I had the feeling someone on Facebook would make ‘the comment’ and I wasn’t disappointed. The very first one was from a road runner friend, it read: “.2 more and you could have run a marathon, you slacker”. Of course it was said in jest, but the fact that it was said at all amused me. I even had several comebacks in mind as a retort. Since I didn’t want to be mean I simply replied with a light hearted “.2 is for road runners”. That got me thinking about the mentality of trail and ultrarunners. We simply don’t give much thought to exact distances and certainly not to the specificity of a road race distance. 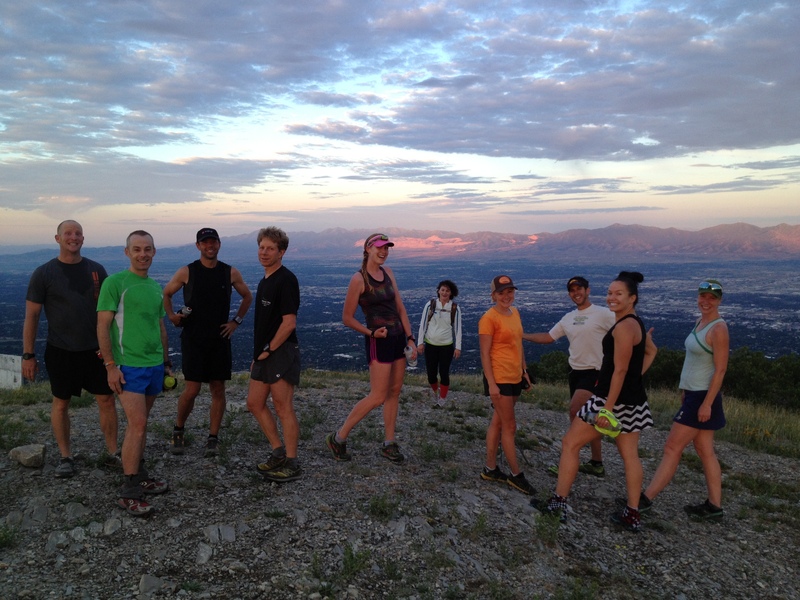 Rarely do trail races come out to an exact distance (or even the advertised distance), so it makes little sense to focus our training on exact distances. I have several friends who don’t even track distance as part of their training. Their sole focus is on time and vertical gain. Seeing as my 26 miler had over 3000 feet of vertical gain my time wasn’t in any way comparable with the same distance on the road. That time spent on my feet was far more valuable than the distance I ran because my mental awareness had to be focused on fueling and effort instead of pace. But let’s be honest, what I was really focused on was nothing. 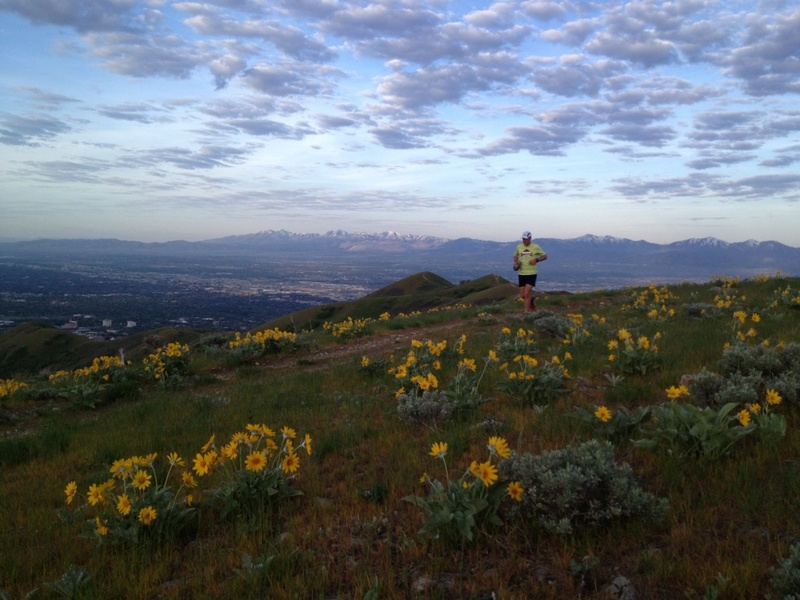 For the most part I spent several hours daydreaming about my next adventure runs in the Wasatch mountains or southern Utah desert. That’s what is so great about our sport, we aren’t bound by some incremental number forced upon us (once again, by the British). We choose to run free, out of the box, and outside the lines. We get to worry about obstacles like rocks, roots, and cougars, not potholes and texting drivers. We govern our own training because every race is different. And we value relationships and enjoyment over results. For me, that’s what makes our community what it is – the people – not the “.2”. Wow, I wish I could daydream. When I do that I usually come perilously close to coming to a complete stop with my chin on the trail. That being said, I love this. Exactly how I feel. Trail running is more the experience to me than the time like a road race. Nicely said! Cool story story. Love it. I remember the training for my first marathon about 3 1/2 years ago. I was really worried about distance and mile times. Now I feel the same as you wrote in this piece. I wouldn’t have it any other way. More often than not I run as long as time constraints allow and would run longer if time did allow. Thanks for this perspective. I spent most of my life as an extremely competitive athlete playing at the highest levels one can play (as a woman in soccer and hockey)! I still battle with a mentality that tells me I need to be competitive and I don’t really need that extra strain because work is tough enough. I’ve run only one race, a 25k trail race and did quite well, and I enjoyed the training. A lot of people seem to use racing as a goal to keep them running. But I run simply because I love it. I love it because a) it lets me explore and find new neighborhoods, new trails, new ‘discoveries’ of different seasons; and b) because it gives me the challenge of pushing myself further and faster. Oddly, perhaps, it seems that I don’t need a race in order to desire to do speed work or long runs. I do them because they give me the drive and the ability to endure struggle and suffering in all aspects of my life, which is a necessity if one is to grow in any capacity whether physical or mental or emotional. That said, it is nice to come together with others to engage in an adventure, which is why I’m so happy about the FKT phenomenon. This lets me get together with a few friends, plan a trip, train with a goal in mind, and execute without feeling as though I must be competitive and race other people. Sure, there’s the goal of beating a time; but the competition is ‘within’ rather than ‘against’ for me in this case. And I prefer that!